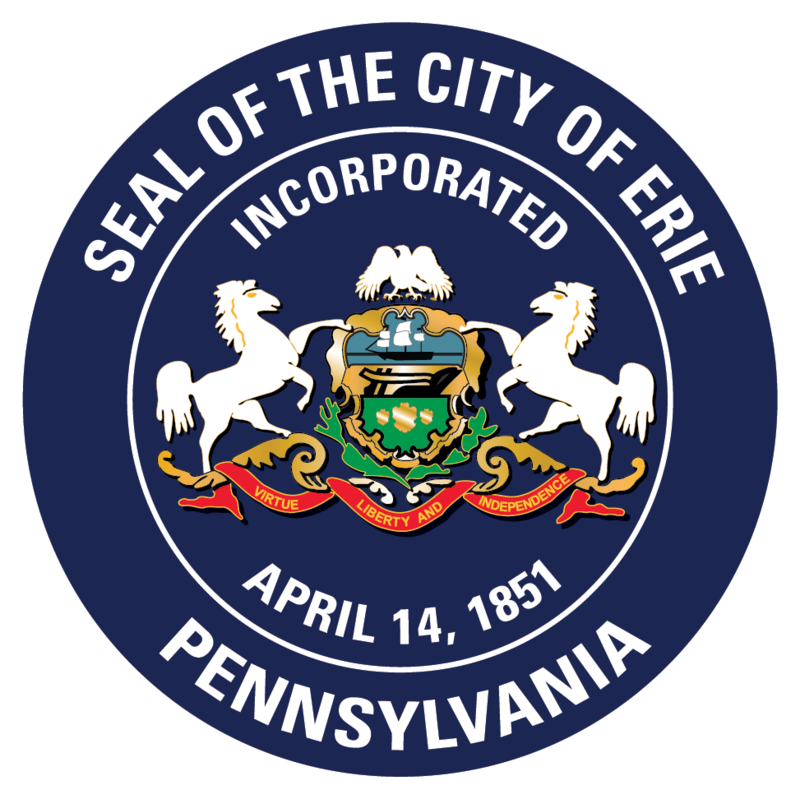 The Zoning department administers the Zoning Ordinance for the City of Erie [Ordinance Number 80-2005] as authorized under the Pennsylvania Municipalities Planning Code (MPC). The zoning ordinance divides all land within the City of Erie into districts and creates regulations that apply generally to the municipality as a whole as well as specifically with individual zoning districts. The zoning ordinance serves a dual purpose: to coordinate and guide development and to provide certain standards for development. The Zoning department is the first stop for obtaining most construction permits in the City of Erie. The permit approval process varies based on project type, scope of work, and location. Once zoning approval is granted, the project is reviewed by our Building Code officials prior to issuing a permit. The City Planning Commission was established in 1962 and consists of a five member body comprised of City residents. Planning Commission members are appointed by the Mayor and approved by City Council. Appointments are for four (4) year terms. Planning Commission meetings are scheduled for the third Tuesday of each month of the calendar year. The meetings are held at 1pm and are located in Room 500 of the City of Erie Municipal Building, 626 State Street, Erie PA 16501. Please contact Jake Welsh, Planning Commission Secretary, at (814) 870-1273 or jwelsh@erie.pa.us for information regarding the process for submitting items for Planning Commission review. The Zoning Hearing Board (ZHB) is a quasi-judicial body that hears and renders decisions regarding specific types of land use actions. The ZHB functions like a court, although formal court procedures are not necessarily required. The Pennsylvania Municipalities Planning Code (MPC) provides a specific set of rules that must be followed by the ZHB (ZHB Procedures). The Zoning Hearing Board of the City of Erie consists of a five member body comprised of City residents. Board members are appointed by City Council. Appointments are for five (5) year terms. Zoning Hearing Board meetings are scheduled for the second Tuesday of each month of the calendar year. The meetings are held at 1pm and are located in the Council Chambers of the City of Erie Municipal Building, 626 State Street, Erie PA 16501. Please contact Jenna Bisel, ZHB Secretary, at (814) 870-1265 or jbisel@erie.pa.us for information regarding the process for submitting applications to the ZHB. The Zoning Ordinance and Zoning Maps are available in print at the Department of Code Enforcement, (Erie City Hall, 626 State Street Room 407 in Downtown Erie) for $15 each. There are also downloadable links available on this website. Please contact the Zoning Office at (814) 870-1265 with any questions concerning the zoning code. Also, be sure to visit the Zoning Office Fee Schedule.